Home photoshoot makeup; women of color Reader Question - Bronzers for Women of Color? I'm back with a new post that I think might be very helpful to many of you. A lot of times I'll get reader questions and I actually will post my response on my blog since I think many of you might benefit from it. Today's question pretty much asks, "How do you use a bronzer when you're already bronzed"? Hi, Ren. I'm a follower of your blog and love, love, love your work! 1. How do I choose a color? Do I stay around the same shade as my skintone or do I go darker and how many shades darker? -You can pick something close to skin tone if you want to add luminescence to your skin – something with a gold/bronze shimmer is really pretty. You can also go darker if you want to contour – about 1-2 shades darker works depending on how dramatic of a look you want. 2. How do I apply the bronzer? Where do I place the product on my face? -You can apply it as blush to the apples of your cheeks and then even put a blush on top for pop of color. -If you’re using it as a contour, apply it from the temple, to under your cheekbone and then back around to your jawline – think of it as a 3 or E motion, depending on what side of the face you’re applying it to. 3. And the obvious question is....what is a bronzer supposed to do for someone who is already "bronze"? -Bronzers can give women of color beautiful glow to the skin…it gives the skin radiance and a healthy appearance. 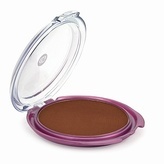 -Covergirl Queen Collection bronzers is a great start. I have all 3 in my kit. I also love the Cargo Dark Bronzer and NYC bronzers are nice too! Bobbi Brown is always good. Remember – if you want to use the bronzer as a contour, stick with more matte shades. For luminescence, go for one with a shimmer – but avoid super glittery ones! Thanks so much for your consideration! And thanks for providing such useful and relevant information on your blog. Again,I love it! Do any of you have product recommendations or tips for bronzers for women of color? I learned most of what I know from the amazing Sam Fine. Let me know in the comments below! Wet n wild has two great bronzers I love. One that's matte and the other has shimmer. Love this post I always wondering if I could or should use bronzer. I purchased a bronzer from Lorac that I love, that a Sephora employee taught me how to use. I do the same 3/E moticn from the temples down to the chin, and also sweep over my nose. The end effect is unnoticable until I go out in the sun, and then I look sun-kissed & radiant. Thanks for sharing! I have the same confusion too cause I'm somewhat "bronze" too :) Now I'm ready to go and buy a bronzer! I absolutely LOVE MAC's "Gold Deposit" as a highlighting bronzer. It works well for me as a "yellow-toned" black women and for my more chocolatey sistas. It gives such as a golden, healthy glow! Strongly endorse it! Hey Ren Ren-- So when I want to contour I go for a matte darker face powder. Like whatever you use to set your makeup. I use Clinique sheer pressed powder and I get one for my "regular" tone and one several shades darker for contouring. This powder is matte and it's great because it's also sheer and you can build it up. It works really well. Example I am "Stay Honey" all over and I buy "stay brandy" to contour with. Great post.